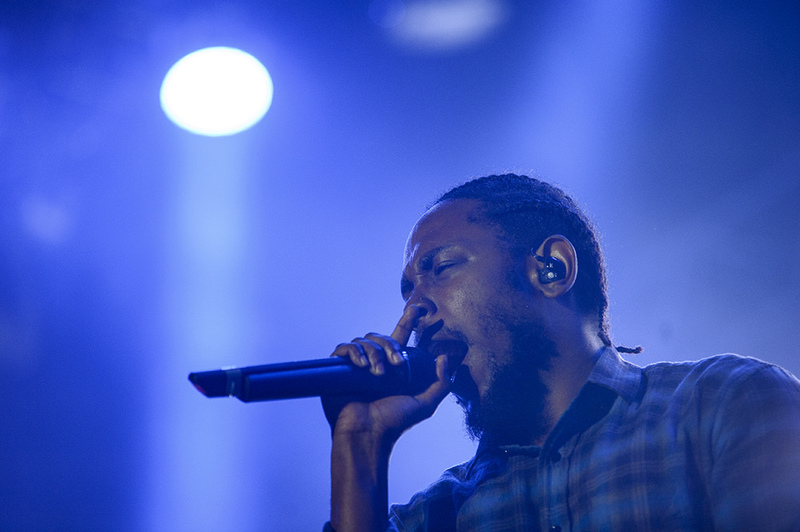 Today marks the release of rapper Kendrick Lamar’s new album DAMN., an artist at the forefront of music delivering political and activist messages through his songs. While it remains to be seen if his social-mindedness will continue through this next record (the recently released single ‘HUMBLE.’ and the cover art suggest it will not be as immediately confrontational), there is no doubting that Lamar represents a generation of artists not afraid to stand up for what they believe in. On his previous album, To Pimp A Butterfly, Lamar explored themes of race and inequality in engaging and experimental ways. While President Barack Obama declared his favourite song of 2015 to be the Compton rapper’s ‘How Much A Dollar Cost’, Lamar received harsh criticism for live performances, such as at that year’s Grammy awards, which railed against social justice issues such as the prison industrial complex. Lamar is free to express any opinions he wants through his music and, even though these issues are hot button topics that fail to be resolved, he can, generally, do this unhindered. This has not always been the case across the globe and with this week also marking the 50th anniversary of the first western rock show behind the iron curtain, it gives us a chance to digest how important freedom of expression, through art or otherwise, is, especially to sections of society who feel oppressed. When Russia was in the midst of Soviet control, rock music itself, even devoid of political overtones, was considered a western pollutant of communist ideals. It was banned at all costs, with lists drawn up and sent to radio stations prohibiting the broadcast and enjoyment of songs by Iggy and the Stooges, Black Sabbath, Talking Heads and even Tina Turner for crimes such as “neofascism”, “religious obscurantism”, “myth of Soviet military danger” and “eroticism”. However, the truth is, western music creeped into the USSR well before any band actually went to play there. Rock music signalled subversion and enlightenment amongst the increasingly disenfranchised and aggrieved. The Beatles penetrated the iron curtain to influence and educate young people to the point where they could no longer stand their despotic government. Apart from anything this goes to show The Beatles’ utter ubiquity; they could not even be kept out of the Eastern Bloc. There has even been a book written about it in Leslie Woodhead’s How The Beatles Rocked The Kremlin. Despite this diffusion of western rock into Russia, it was still by and large kept out, and anyone listening would face rash consequences. It is akin to Radiohead playing in Pyongyang. All forms of protest, no matter how tiny, do eventually seep into unknown territories. Until recently, who would have expected American indie rock acts like Surfer Blood or Mac DeMarco to tour China or Scottish singer Be Charlotte to entertain fans in Thailand and other parts of South East Asia? 50 years since this watershed moment, it highlights that, despite the social problems we still face in the west, we are lucky we live in a place where expression, through all forms of art, is done so freely. The transformative powers of music are still strong and they have been even in the most unlikely of places.